I have a life altering test tomorrow. Like, the test that determines whether I can do an off campus placement next semester and graduate on time and become a Doctor of Audiology in 2015. Why am I blogging? Dunno. For real I’ve been studying for weeeeeks and now I’m at the point where my brain is so full of information that I’m going to word vomit a-la Cady Heron in Mean Girls. Verbally, and in written form. Because yes, we have to orally defend our answers in front of a panel of the whole faculty. Wahhhh. My “breaks” from studying have consisted of going to school, doing other school work, teaching Body Pump, and occasional cooking/baking. 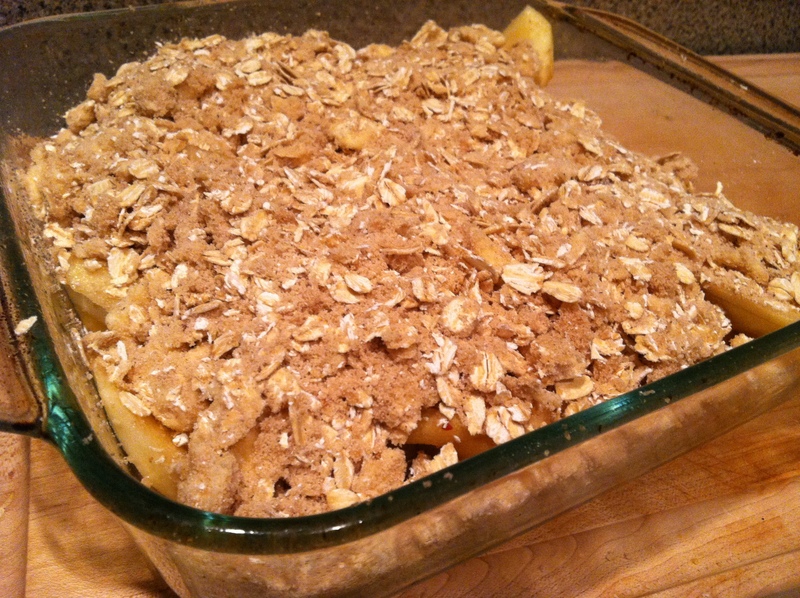 That’s how this apple crisp came to be. We hit November and it got cold, and I needed something hot from the oven. This is going to be short and sweet because I actually do have to get back to my pages and pages of notes, but I thought I’d share a happy recipe. And hopefully my next post will be cheerful and not tearful. Fingers crossed! 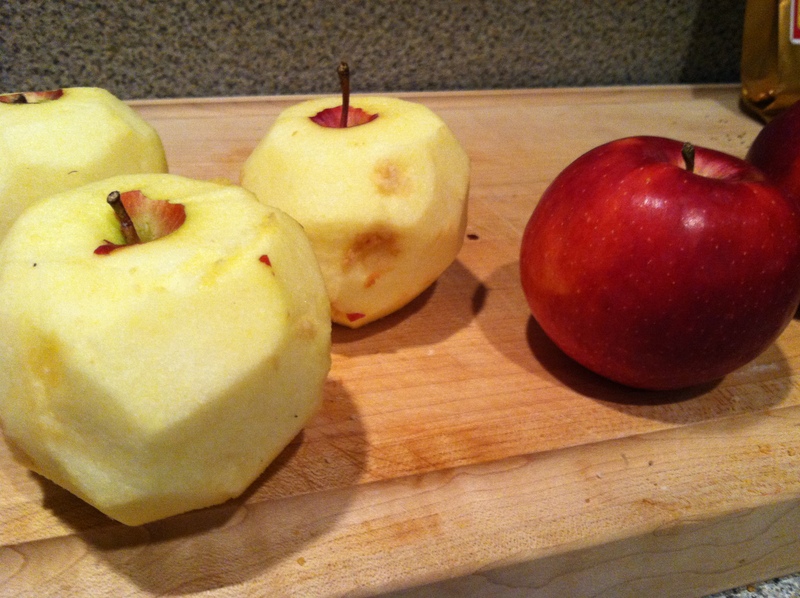 Peel the apples and chop into bite-sized pieces. 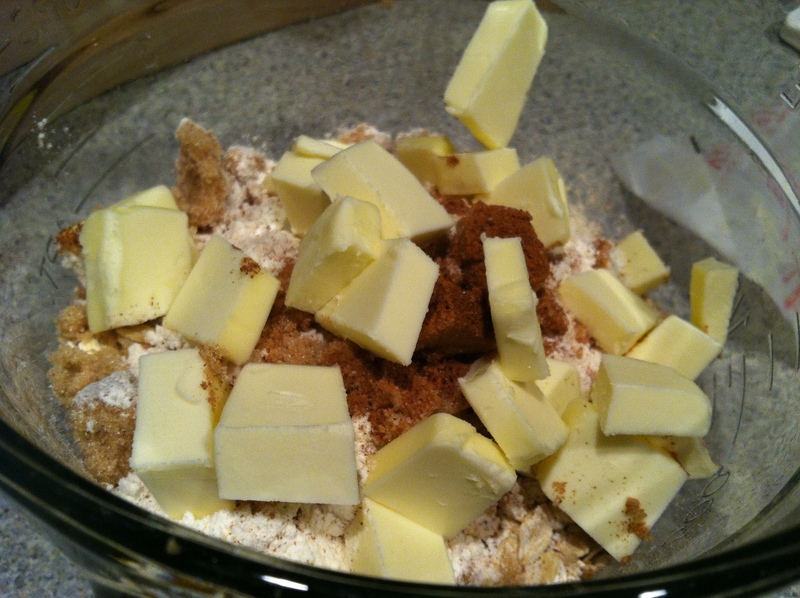 Coat with about 1/4 cup of brown sugar, and spread into a greased baking dish. 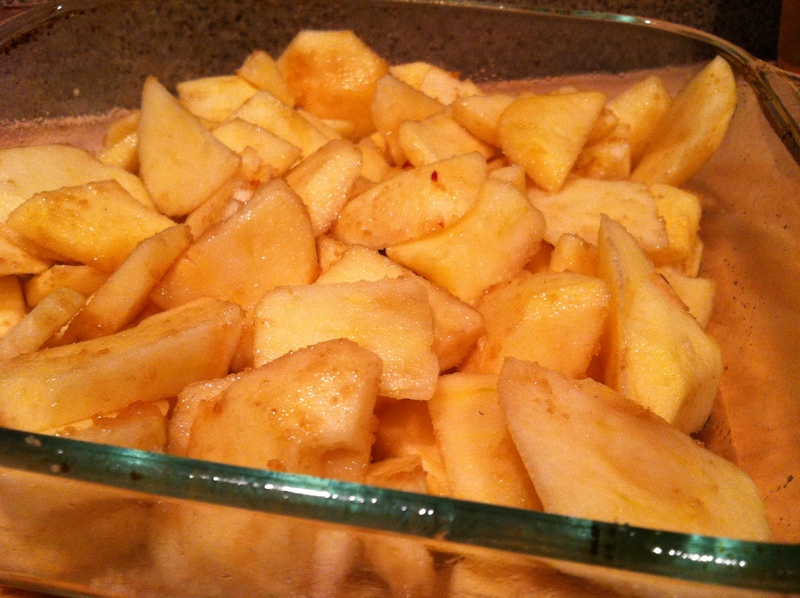 Spread the mixture over the apples, and bake at 375 for 35-40 minutes until the top is golden brown. 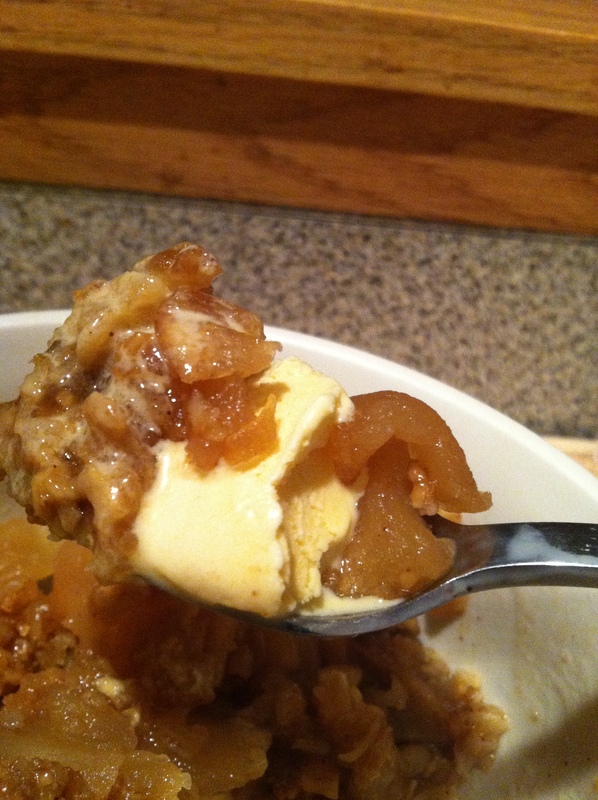 Serve over vanilla ice cream, and be happy. And pray for me to pass this g’damn test.